Infallible lip colour lasts up to 16 hours and is captured in a unique mirrored compact case. 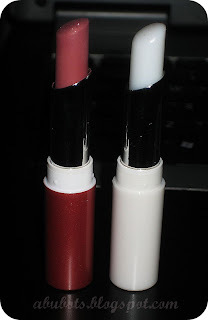 L'oreal Infallible Lip Duo Compact seals in colour even after eating and drinking. 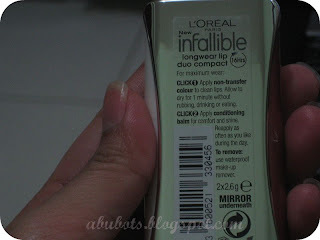 The L'oreal Infallible Lip Duo Compact balm locks in moisture for added comfort and shine. In just two clicks, Infallible colour and comfort that lasts up to 16 hours! Apply non-transfer colour to clean lips. Allow to dry for 1 minute without rubbing, eating or drinking. Apply conditioning balm for comfort and shine. Reapply the balm as often as you like throughout the day. I am not a lipstick person. Whenever i have lipstick on, i lick or bite my lips and just won't stop. It's my worst habit. I used to bite my nails and good thing i've outgrown it...but this one? i don't think it would go away soon. But of course, i would love to have a nice color on my lips most especially during special occasions and there's plenty of picture taking involved. A friend once told me that i should get a lip tattoo, so there would be no need to color my lips. it would be nice, but the thought of getting hundreds of pricks makes me nauseous, so nah...scrap that suggestion. LOL! 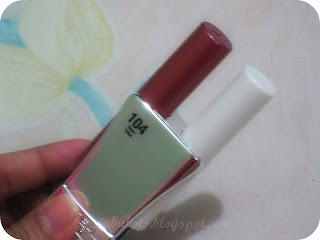 and so when this infallible lipcolor from L'oreal came out of the market...i just knew i had to get one. it's true to its promise...it is definitely long wearing! i am not sure exactly how many hours (this promises 16hrs) for i usually take off my makeup after 10-12hrs max but this one really last! i applied it 8am, had lunch, had a number of drinks and still have it on around 6pm! there is definitely no need to worry about having weird lipstick lines and dull lips...you're assured of a nice lip color all day long. 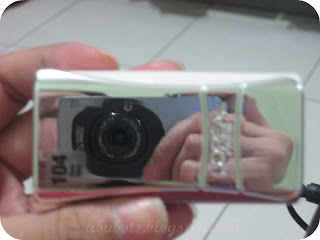 takes a bit of more time since after applying the lipcolor, you have to wait for a minute before applying the gloss. you have to make sure that the color is already dry. 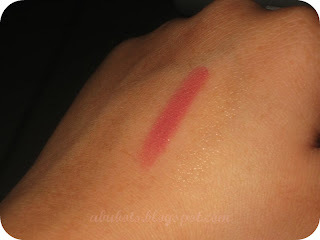 kinda expensive..priced at Php900 (hmmm, please correct me if i'm wrong) and costs as much, if not higher than MAC. but for a lipstick that would last you almost a day? this is a great deal, IMHO. i know that most of us women likes to apply our lipcolor using a lip brush, but trust me, this one is better off applied straight from the tube. 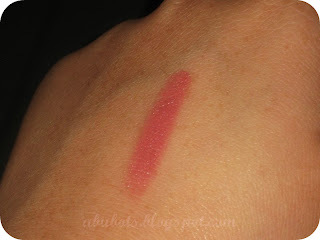 this is my HG lipcolor/gloss as of the moment. I just love not having to re-apply hour after hour. this had been in the market for quite some time now. have you tried it? if yes, did you like it? or it's just a waste of money? Thanks for the review!! I will definitely try this! 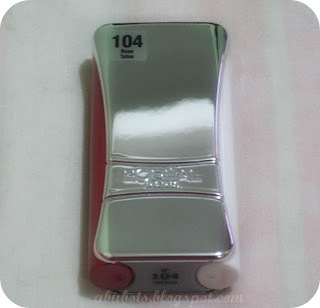 thanks for the review.. i saw this yesterday in the mall, tried it on my hand, but found it too flakey (it might be the tester).. anyways, i remember seeing the lipstick mark last night even after i took a shower (i use loofah) and today, a shadow of the it is still on my hand.. grabe.. it's one stubborn lipstick(which i think we all want).. anyways, its on sale in Ayala Cebu, i might dropby later and get me one! thanks for the review jheng.. made me decide to get it. i will definitely pick one up next time im going shopping. jamilla, my pleasure sis. please let us know if you like it..
hahaha sunitz, yeah this is indeed one stubborn lipstick everyone would want to have. LOL! oh i do understand you gingerbee, i've had my share of dry lips experience with l'oreal...this one comes with a lipbalm that can help in giving moisture, but the problem is, once the balm runs out.